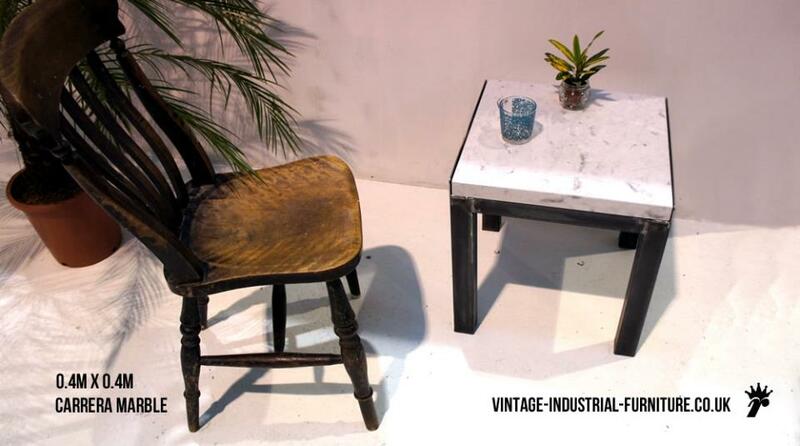 Our vintage marble top coffee table combines luxury with rustic metal. 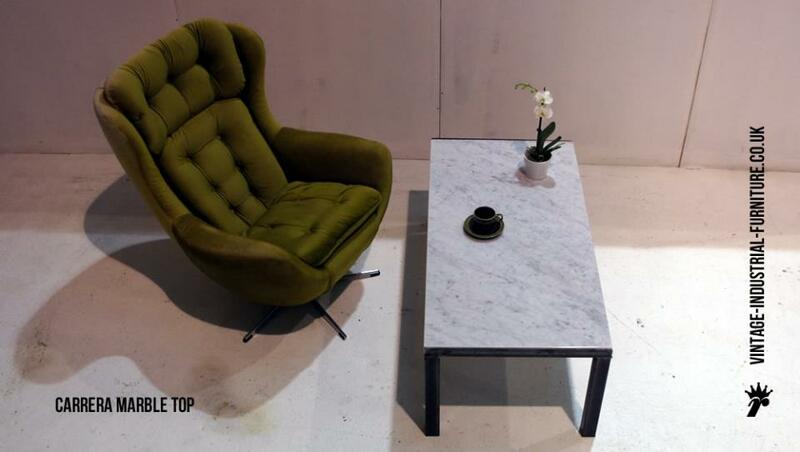 The robust feel of this piece makes a big statement in a modern or traditional home. 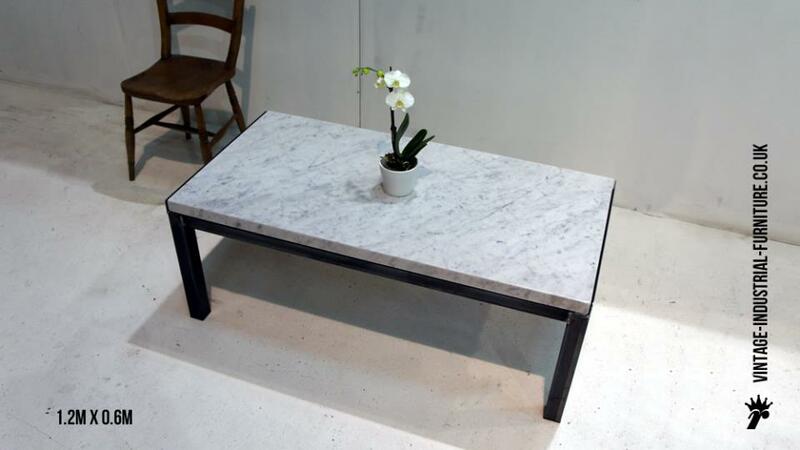 A substantial slab of carerra marble sits upon a sturdy steel structure. 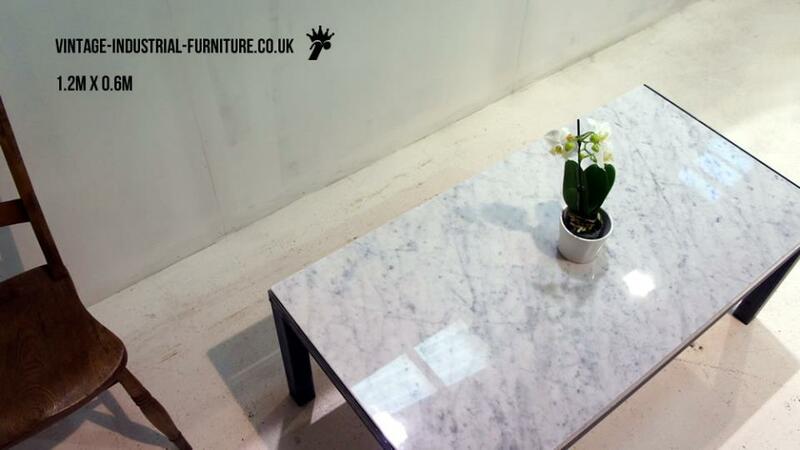 The solidity is quite stiking as you place down a glass or cup. 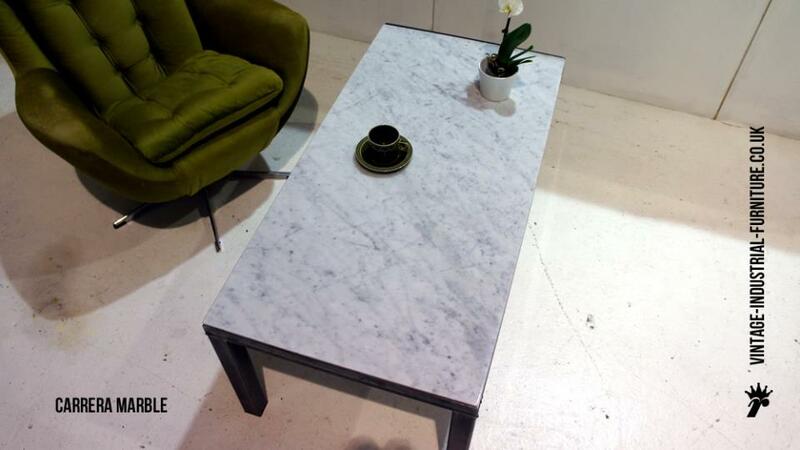 This vintage marble top coffee table can also be bespoke-made using other materials and to different sizes. Please enquire.